The Pelicans defeated the Cavaliers, 140-124 tonight in New Orleans. 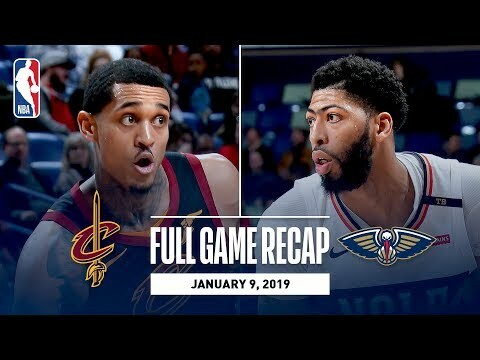 Anthony Davis led the Pelicans with a game-high 38 points (11-17 FG) along with 13 rebounds and 7 assists, while Frank Jackson tallied a career-high 19 points (4-4 3pt FG) in the game. The Cavaliers were led by Jordan Clarkson who finished with 21 points (9-16 FG), as Collin Sexton added 13 points and 4 assists in the losing effort. With the win the Pelicans improve to 20-22, as the Cavaliers fall to 8-34 on the season.